The articles were originally published in the Monash Bioethics Review and remain available to subscription holders to that journal. The publisher, Springer, has generously agreed to place each of the four articles on Free Access for one month after the corresponding short summary is published in the Research Ethics Monthly. Last month they revisited the paper on Contextualising Merit and Integrity within Human Research. This month they revisit the paper on the principle of justice as it applies to human research. The full paper can be found here. Researchers are required under the National Statement to demonstrate to ethics review bodies that their proposed human research projects are just. Members of ethics review bodies are responsible for determining whether or not proposals for human research demonstrate the principle of justice. This paper explores the historical development of the concept of justice within human research ethics and how it came to be one of the four basic values on which the National Statement is based. Justice is now accepted as one of the core values to be applied in a review of the ethics of human research. However, justice is a multi-facetted concept and not easily defined. Justice means different things to different people depending on the context and circumstances. In paragraphs 1.4 and 1.5 the National Statement describes justice using examples such as; fairness in relation to the distribution of burdens and benefits, and guarding against the exploitation of participants. Throughout the document, the National Statement revisits the concept of justice to provide guidance on how it might be demonstrated in particular contexts. The inclusion of justice as a requirement in the ethical review of human research largely stems from the Belmont Report. It was there that particular cohorts of participants first began to be identified as being exploited by researchers. Its utility as a principle was highlighted during the debates arising from the conduct of international biomedical research in the late 1990s, especially in their collection of research data from lower or middle income countries and use or the benefit of the populations of higher income countries. Given its relatively recent addition to the human research ethics discussion, what constitutes just research is still an evolving concept. An activity sheet about research ethics committees and the evaluation of justice has been added to the AHRECS subscribers’ area. It includes notes for presenters. By becoming a patron you will get access to all the subscription material (with new items added every month). The material is posted on a creative commons basis so it can be loaded onto your institution’s servers for use in your in-house professional development activities. A subscription of USD15 per month (approx AUD20) grants access to all material. Subscribers can make requests for the topics for future activity sheets. 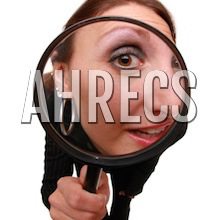 AHRECS can provide a statement for paid subscriptions (for your accounting purposes). To subscribe visit https://www.patreon.com/ahrecs. In this paper, the origins and recent debates about the requirement to consider justice as a criterion in the ethical review of human research are traced, relevant conceptions of justice are distinguished and the manner in which they can be applied meaningfully in the ethical review all human research is identified. Justice is not only a consideration for researchers, but also for the integrity of the conduct of the evaluation process. Questions of justice can be seen as subjective. The concept of justice – whether distributive or commutative – and what counts as a just distribution or exchange – are given different weight and meanings by different people. Decisions need to be seen to be even handed, transparent, comparable, and inline with both community expectations and the guidance material. In this the National Statement acts as the common lexicon for these discussions. This paper explores and explains the specific paragraphs relating to justice throughout the National Statement. Throughout the document, the National Statement highlights areas to be considered during the review of applications in relation to the justice aspects. It also provides guidance to researchers as to how they can demonstrate that there is a fair distribution of burdens and benefits in the participant experience and the research outcomes so that paragraphs 1.4 and 1.5 of the National Statement are satisfied. This paper provides practical guidance to researchers on how to articulate issues of justice so that it is evident in the design of their research project.